La Casa Hogar is generously supported by a variety of donors and community partners. Over the years, a series of grants focused on technology and digital inclusion has made it possible for us to grow as an organization and to more fully serve our community. The Bill & Melinda Gates Foundation gave us our first foundation grant in 2002. Because of this relationship, we become part of the Community Connects Network and have access to other, more competitive technology grants. We received a state CTOP grant in 2007, and later the federal BTOP grant. As a result of these opportunities, La Casa Hogar was invited by the University of Washington, to participate in a UW study of community technology. The study was published in a monograph: (cited below). “La Casa Hogar-Bringing Families into the Community” in Digital Inclusion: Measuring the Impact of Information and Community Technology, ASIST Monograph Series, Michael Crandall and Karen E. Fisher, eds; Information Technology, Inc., Medford New Jersey, 2009. United Way of Central Washington has been a consistent long-term partner since 1997, supporting education services for adults and preschool children. Yakima Valley Community College is another significant community partner. 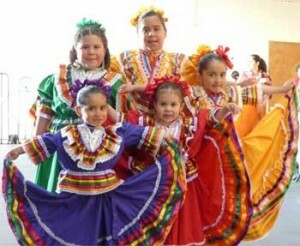 In 1996 La Casa Hogar became a community site where English as a Second Language (ESL) classes are provided. Adults in La Casa’s ESL classes are enrolled in YVCC. Classes are staffed by a YVCC teacher and teacher assistant. Outcomes are evaluated based on the state CASA’s exam. Five levels of ESL are taught. 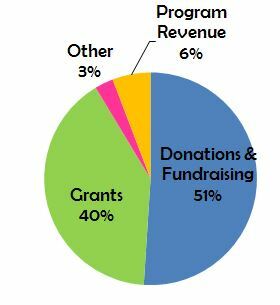 Approximately 75% of La Casa Hogar’s expenditures support programs. The other 25% fall across management, fundraising and administration. La Casa Hogar continues to strive to meet the non-profit mark of excellence with 80% of our expenditures supporting programs. 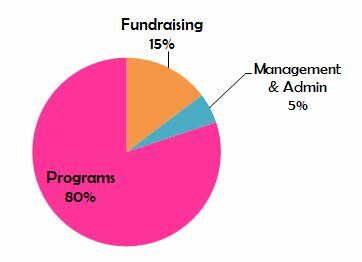 Our operating revenues come from fundraising activities, businesses and organizations, and generous individual donors, grants and program income. Please check the “Events” tab and mark your calendars to join La Casa’s annual events: Connecting Communities Fiesta (May), and Back to School Fiesta (August). For the most recent funding information, download our Annual Reports.